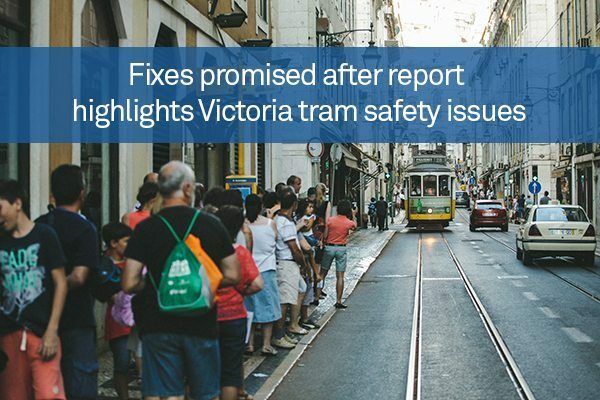 The government of the Australian state of Victoria has promised improvements to its fleet of much-hyped trams after a new report identified a series of safety failings with the equipment. An independent study by Interfleet on behalf of Public Transport Victoria highlighted potential problems with acceleration and braking on the AU$300 million E-class trams, as well as design issues with the trams’ floors, hanging straps and seats that could cause safety concerns. In particular, it noted problems with sudden acceleration and deceleration are so pronounced it has led to passengers slipping and falling. Public transport minister Jacinta Allan said these issues are being addressed and the number of passenger falls has halved in the last 12 months. “With these new E-class trams … because they are newer they have had an issue where they brake more suddenly and accelerate more quickly and that is being smoothed out as a result of this investigation and report,” she told 3AW. Extra training is also being planned to ensure drivers of the trains understand how to manage the size of the vehicles, added acting PTV chief executive Jeroen Weimar. A spokesman for the authority also told News.com.au that the light rail system has seen the number of complaints fall “dramatically” over the past year. “E-class trams operate within the specified standards for slips, trips and falls, and we will continue to monitor incidents when they occur on the tram network,” he said. The issues are not the only problems affecting the rail system in Victoria, as News.com.au noted that its VLocity train fleet, which takes passengers to regional Victorian cities, has been found to not be activating boom gates and level crossing signals in some instances. An investigation has also revealed some trains’ wheels are suffering from severe wear and tear, resulting in several being banned from travelling to the Melbourne Central Business District.